Last week, myself and Gareth travelled down to Oxford for a very inspirational two days at the Oxford Real Farming Conference (ORFC). 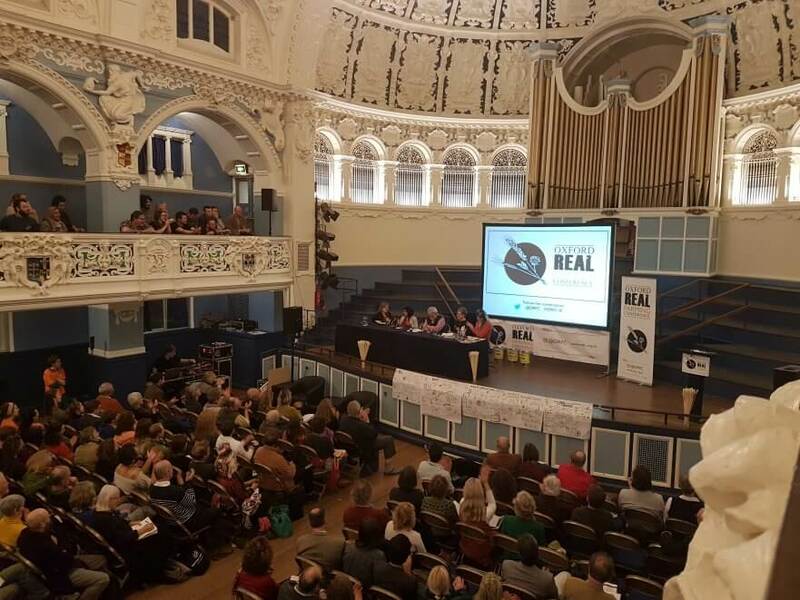 The ‘Real’ farming conference, which is in its ninth year this year, was set up partly to counter the very much traditional Oxford Farming Conference, which takes place just down the road. Both conferences have the question of how to feed people efficiently and sustainably at their core: but solutions are often different. Rather than a focus on technology and the large scale farm, the ORFC finds solutions that are at a more human-scale, and with a strong emphasis on enhancing the ecology of farms. 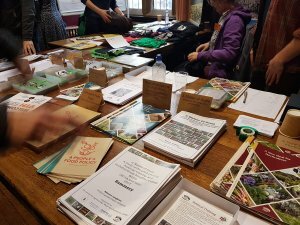 During the two-days at the ORFC, there are over sixty sessions on offer. 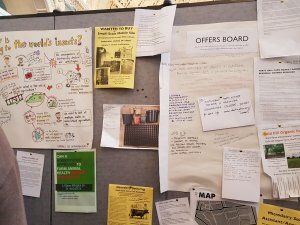 Topics range from ‘food workers unite’ and ‘micro-dairying: the practicalities of production and processing’; to ‘restoring lost species to landscapes’ and ‘measuring and valuing sustainability’. It wasn’t possible to go to everything we wanted, but fortunately most sessions were recorded and will be made available online over the coming weeks. Highlights for me included sessions on acquiring land for growing, and on how to create a network of ‘incubator farms’ where wannabe-farmers could trial their business in a secure way. There is an often reported statistic that the average age of farmers in Britain is 55, and I learned during one session that two-thirds of all land in the UK is owned by 0.36% of the population. Facts like these highlight the need that there is for programmes that support growers and farmers to access land and facilities for creating a better food system. We had some good discussions with our friends at the Kindling Trust and Sutton Community Farm who, among others, are providing alternative opportunities. I was certainly struck and encouraged by what seems to me a new movement of young growers who want to create a livelihood based on the land. During another session, it was extraordinary to hear Michael Gove, Secretary of State for Environment, Food and Rural Affairs admitting that current subsidy policy see the greatest subsidies supporting farmers and landowners who are already the wealthiest : exactly the opposite of what they ought to do. Whether Brexit – a strong theme throughout the conference – will be a force for changing such broken situations, or will create even more issues, is yet to be seen. All in all, the ORFC was a wonderful and inspiring way to spend two days. How great to be surrounded by like-minded folk, who want to see food produced in ways that support people and environment, and to think of ways we could bring all this learning back to Sheffield. For the last three years, Regather has supported and championed Sheffield’s local growers and producers through our veg box scheme. We believe that the work they do is so vitally important to our environment and health. If you would like to support real farming in our city, please do consider signing up to our veg box scheme. Please also get in touch with us! and the slides are available here.